Minister of State Dinny McGinley has admitted that Lifford Hospital could be on the verge of closure. The news many consider may already be a foregone conclusion comes as the West Health Forum meet today to discuss the future of community hospitals. Minister McGinley admits the signs do not look good for the border hospital. “There is no doubt about a potential closure,” he admitted. However he claimed that there will a consultation process and that alternative arrangements may be made for Lifford. 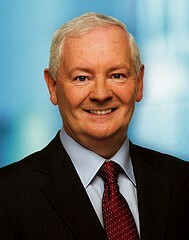 However he claimed that no patients currently in Lifford will be left without a bed. He revealed that alternative arrangements are already being drawn up to ensure that the patients currently in Lifford will be relocated to a different community hospital nearby.